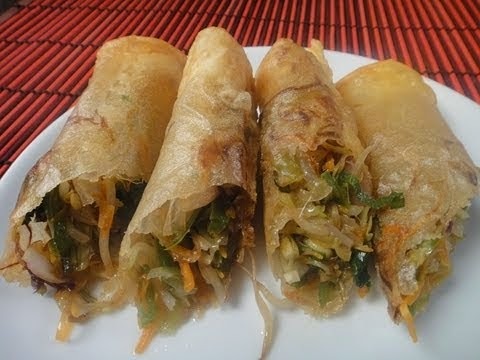 Spring rolls, a classic chinese dish that is enjoyed by everyone, children in particular. These rolls, deep-fried are cut up and served fresh garnished with grated vegetables. Its crunchy, delicious taste is what makes it a huge hit at parties. It tastes great served with schezuan sauce. Sift the flour and add salt, egg and water and make a smooth batter. Heat 2 tsp of oil/ghee in a flat non-stick pan and add enough batter so that it covers the base of the pan. Cook from both side of the pancake until looks golden. Repeat the same till whole batter is utilized. 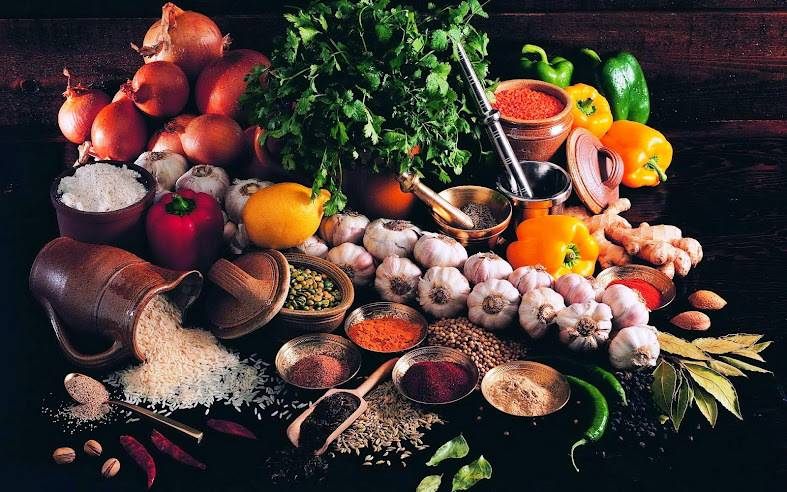 For making the filling, heat 2-3 tsp oil in a wok and add ginger, garlic and green chillies. Sauté over medium high flame for 2 mins and add mushroom. Stir fry for 10-15 seconds. Add shredded leeks and stir fry for few more seconds. Now add carrots, cabbage and season with salt and pepper powder. Cook by tossing the vegetables until they are crisp and tender. Add the bean sprouts, soya sauce and vinegar. Cook over medium flame by stirring for 2-3 minutes. Set aside the prepared filling to cool. For the final proceeding, place 2-3 tps of the filling on the center of each pancake. Fold from the sides and form a tight roll by sealing the edge with the help of cornstarch. Deep fry in hot until turns to golden in color. 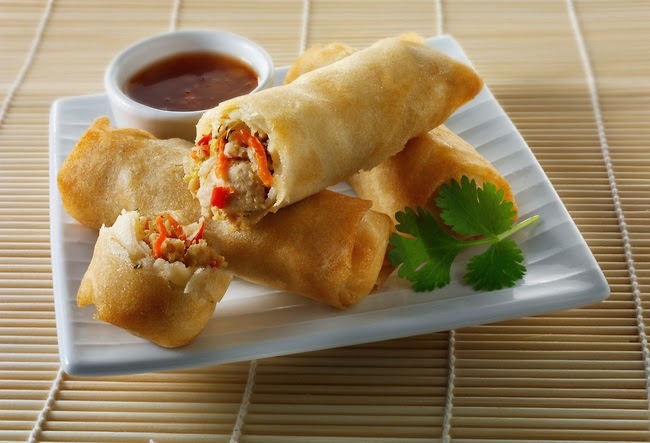 Serve delicious Chinese spring roll with hot sauce or schezwan sauce.